AKIPRESS.COM - Kazakhstan, with its green-minded government, is the poster child for the EBRD’s green investment and 2015 – the year of the launch of the Green Economy Transition approach – was a record year. Total investment in green finance in the country hit €364 million, double the level seen a year earlier. Since 2006, the EBRD has provided €1.335 billion for a total of 68 green projects in Kazakhstan. As the EBRD’s Director in Kazakhstan Janet Heckman explains, the will to go green, both from the EBRD and from the Kazakh government, has been around for years. Kazakhstan is the 14th largest emitter of greenhouse gases and until recently its renewable energy use was limited to a few ageing hydropower plants constructed during the Soviet era. 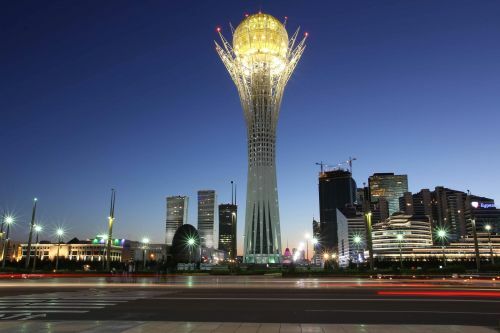 It experiences climatic extremes, with summer temperatures in the capital, Astana, reaching over 40 degrees Celsius, and winter temperatures reaching below -40 degrees Celsius. Coping with this requires substantial energy use for heating and cooling. Yet, in 2013, Kazakhstan adopted an ambitious National Concept for Transition to a Green Economy, aiming to increase the share of renewable energy in electricity generation from virtually zero to 50 per cent by 2050. As Ms Heckman recalls, the EBRD’s strategy for Kazakhstan became the first with a focus on the green economy. “A lot of the past four years has been about that. Nearly all our projects have some sort of green component,” she says. The EBRD’s engagement with improving renewable energy regulation has led to the signing of award-winning solar and wind projects and a strong pipeline of “green” projects for the next year. Donor support has been invaluable. The EBRD’s work is strongly supported by global climate funds. In 2014, the EBRD signed the first large-scale wind power project in Kazakhstan, supported by additional concessional financing from the Clean Technology Fund | Climate Investment Funds. In 2015, this wind farm at Yereymentau received the prestigious American Chamber of Commerce Environmental and Safety Award. Next came solar investment. The EBRD’s second renewable energy project in Kazakhstan was signed in 2015. A €80 million solar power plant project, the Burnoye solar farm, again co-financed with CTF input, the project is jointly owned by both public and private entities. In May 2016, this was named the EBRD’s Sustainable Energy Project of the Year. “We really are at the forefront of renewables,” says Ms Heckman. The EBRD has also helped Kazakhstan switch from coal to natural gas, with two projects in Natural Resources (Bozoi Gas Storage and the Gas Network Modernisation) that will generate substantial CO2 savings. Almost all the EBRD’s Municipal and Environmental Infrastructure (MEI) projects also have resource efficiency components. As well as lending the local transport company in Kyzylorda US$ 18.8 million for the purchase of 92 clean modern buses, the EBRD has financed, or expressed interest in financing, a wide range of Kyzylorda public utilities, from water and wastewater to district heating, solid waste, street lighting and transport. The EBRD is also working to spread innovative climate-friendly technology through its FINTECC climate technology transfer arm, providing grants to companies or municipalities to complement EBRD financing. The country’s green economy progress will be on display next year at Expo 2017, an international exhibition held in the capital, Astana, between June and September, titled “Future Energy”. Up to three million visitors are expected.